Sometimes, whether single or married, we look to be loved by others, but grow frustrated and ultimately disappointed. "Are we unloveable? What's wrong with me?" we ask. And yes, married people are just as guilty of this as single - maybe more! Consider this: Could we be loved and just not see it as love? Women and men define love differently. Children are loved differently from family to family. The other day my husband hadn't been very affectionate or wordy in regards to our relationship or his feelings for me. One might say he's not loving me. Oh, but did I mention that despite a mound of homework and reading needing his attention, he spent a large part of his time off digging a trench for a new garden all FOR ME? It's often termed as love language. 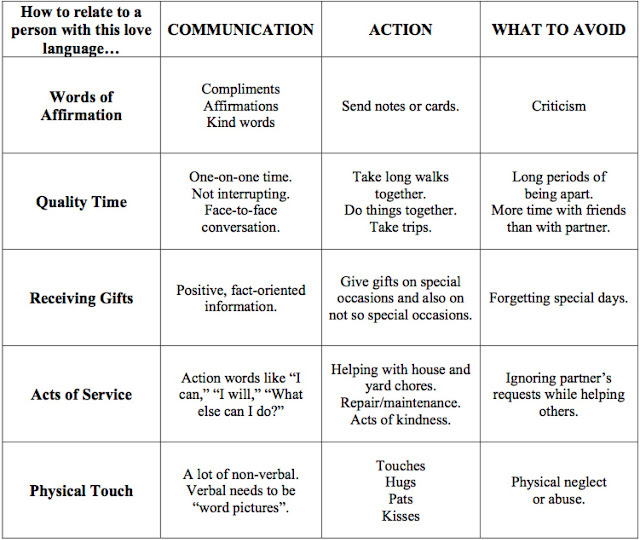 Do you know your friends' and family's love language? Take some time to think about it. 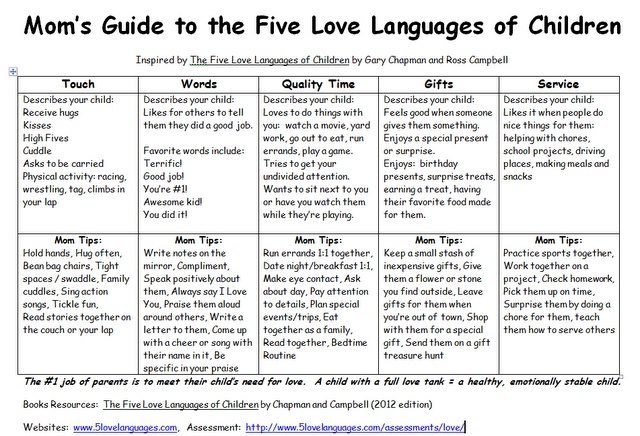 You might be surprised at how much you really are loved once you get the language right! Not sure what your language is? Visit The 5 Love Languages and take their quiz to find out! Lately your posts have been especially relevant to what I'm going through! I love this. I really struggle with Quality Time with my kids. I think I'm okay on the other ones but I really do NOT do Quality time well. The weird thing is, is that is MY top love language. I'm not sure what that means! :) Anyway, thank you so much for taking the time to write these blogs. I can't even tell you how much the encourage me and provoke me on to love and good works...or at least convict a current behavior change!